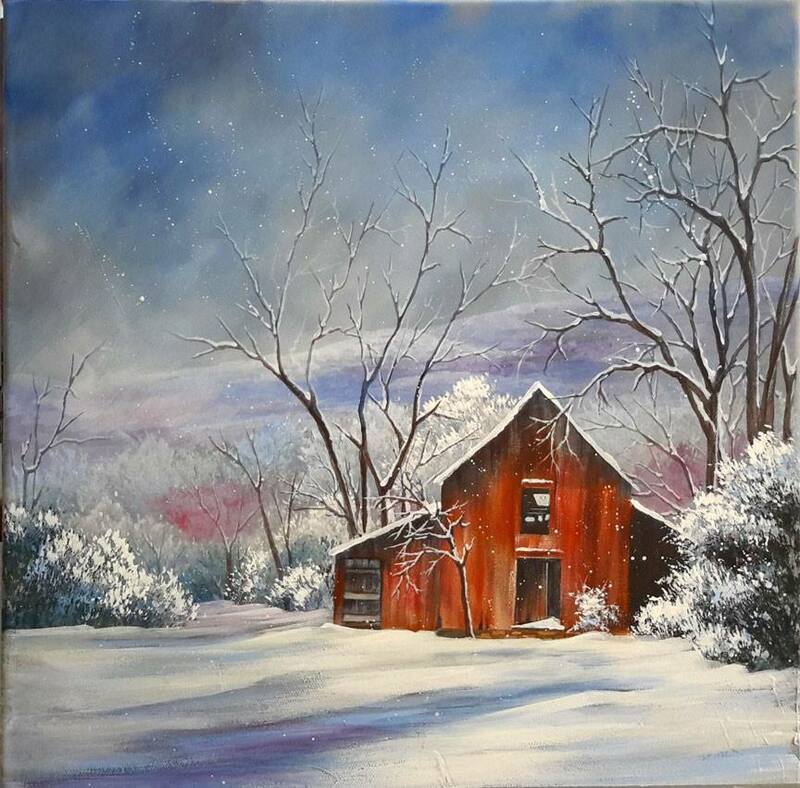 My on line classes are hosted by Creative Workshops, a wonderful classroom site where you will find a wide variety of painting, drawing, and mixed media classes by excellent artists and teachers. As well as my excellent classes of course. Gail Schmidt makes it easy for us to teach and learn. On Creative Workshop you’ll find classes available online 24/7 to fit your own schedule. Instant access to all Open classes as soon as you make your purchase. No waiting for us to send you an invitation. Watch videos as often as you want, when you want. No confusing membership to join or keep track of. No monthly subscription fee. All video content is available from the first day a class opens so you can work at your own pace. Ongoing/Open – means once a class opens there is no take down date to worry about. If a teacher must retire a class (very few do) we give you 6 months notice. Join our artists in their studios while they work and get close up views as if you were sitting right in their seat as they lead you step by step through the class. Access to your teacher in every workshop. My On line Classes! Join me, learn, and enjoy. 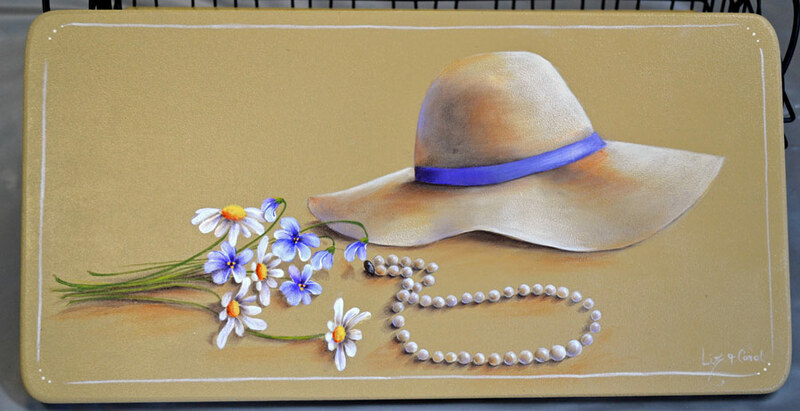 It’s time to add a little romance to our paintings with this fun feminine design. We’ll exercise our shading techniques to create shiny pearls and a gracefully flowing hat brim. Then we’ll set all of our items down on a surface to give the effect of just waiting to be picked up. Join us in painting this quiet summer moment. Join me in this acrylic painting class, as I use my colorful style to bring life into the eyes of my original design, blue eyed kitty. 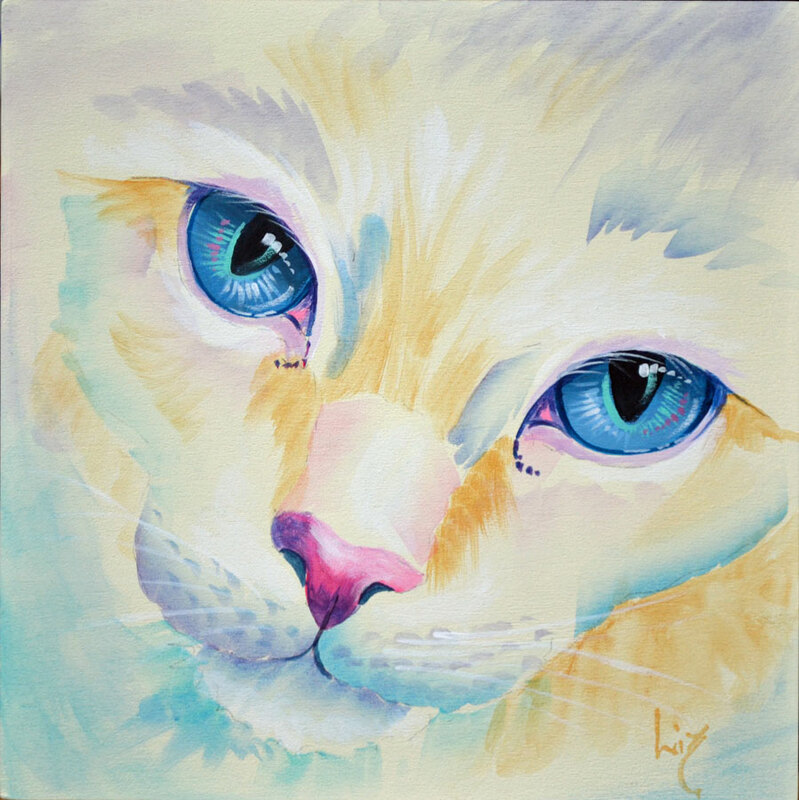 In this video you’ll learn to use lots of brilliant colors for interest as you focus on the eyes and nose of our cat, then add the shadow and sparkle to the cat’s eyes for attitude. To create a fur effect I’ll show you 2 methods for adding loose washes to complete your painting. I present all techniques in a step-by-step manner to make the painting fun for all levels. Acrylic paint is used on artist panel or canvas. Join me for a painting adventure to the coastal wetlands as you paint my original design Sunning Turtles. During your video experience I”ll teach you to paint a cloud fill sky and wet land trees reflected in the beautiful water. You’ll learn to add water plants, and the stars of the day, the sunning turtles. Did you know that turtles will stretch their legs out to sun bathe? Explore the textures of the coastal swamp with me and enjoy the sunny day. The first two videos in our decorative painting basics are open for registration on Creative Workshops. The videos are excellent together but can also stand alone. The first video covers surface preparation, strokes with the flat and round brushes, and base coating the elements of your design using these strokes. The second video covers side loading and floating. If your side loading needs improvement, the second video is for you. You’ve wanted to know the secrets for creating depth and volume in your painted designs. It’s all in the shading and highlighting, creating volume and shape. Join us in this video to discover these techniques and theory. This video is the next step following video one in my Mastering the Decorative Painting Basics: Base Coating and Stroke Work. It also is an excellent, stand alone guide for those of you who want to improve your side loading or have had difficulty with side loading. You will learn easy to follow steps that lead to successful side loading. In our second video in the decorative painting basics series, using acrylic paints, I will teach my step by step technique for side loading your flat brush to smoothly and effectively shade or highlight the elements of your design. We’ll also explore the art theory for creating volume within the elements of your design. After a short review of part one, base coating, I explain and demonstrate the techniques for side loading. Working on the sample design started in video one, we’ll begin to create volume and shape, bringing out the berries and floral elements in this design. This video is broken into short segments with breaks for you to practice the techniques. After the breaks we’ll discuss problems that you might have encountered and how to correct these. By the end of the video you will have an understanding of the side loading techniques used in this video and be ready to practice these techniques, which just means to paint, paint, paint. The more you practice side loading using these steps the more fluent you become. 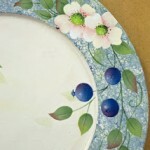 If you have completed parts 1 and 2 of Mastering Decorative Painting Basics you now have beautifully based and shaded blueberries, leaves, and flowers and are ready to put the finishing touches on your creation. Now it’s time to add the accessories to you painting. In part 3, I’ll provide you with the elements that pull your design together, giving it life and interest. We’ll learn to use these design elements to guide your eye through your painting and give harmony to your design. 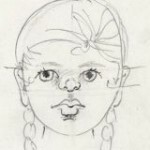 · The secrets to smooth and graceful line work. Using line work to unify your design. 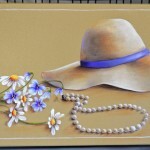 This class completes the basic techniques offered with this blueberry and flower painting. Hopefully it also leaves you with a craving for more art theory and techniques. Practicing these skills will provide you with a good background on which to build your life long creative journey. 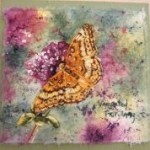 We’ll follow traditional batik techniques but using paraffin wax and watercolors on rice paper to create this colorful butterfly. I take you through the process, step by step. Begin your class when it is convenient for you, 24/7. We’ll learn to use guide lines for drawing simple faces. I’ll take you through the process step by step as you learn. With the video you can draw along with me, stopping as needed, and repeating as many times as you would like. This class is an excellent reference if you plan to draw or paint faces or go on to portrait work. Once you have the basics, it’s so much fun to experiment with drawing different faces, varying features, age, and anything else you can think of. 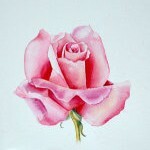 Painting with watercolors can be such fun and this open rose bud is no exception. In this class you will learn basic watercolor techniques of using washes, mingling colors, creating depth and volume by using value changes, and adding accent colors to make your painting more interesting. We will create our design on 300 lb. watercolor paper using rich color options. Supplies are simple but your options are rich. Mat and frame your painting for exciting wall art or cut out your rose to use as part of a mixed media design.